Efficient, scalable memory allocation for multithreaded applications on multiprocessors is a significant goal of recent research. In the distributed computing literature it has been emphasized that lock-based synchronization and concurrency-control may limit the parallelism in multiprocessor systems. Thus, system services that employ such methods can hinder reaching the full potential of these systems. A natural research question is the pertinence and the impact of lock-free concurrency control in key services for multiprocessors, such as in the memory allocation service, which is the theme of this work. We show the design and implementation of NBmalloc, a lock-free memory allocator designed to enhance the parallelism in the system. The architecture of NBmalloc is inspired by Hoard, a well-known concurrent memory allocator, with modular design that preserves scalability and helps avoiding false-sharing and heap-blowup. Within our effort to design appropriate lock-free algorithms for NBmalloc, we propose and show a lock-free implementation of a new data structure, flat-set, supporting conventional “internal” set operations as well as “inter-object” operations, for moving items between flat-sets. 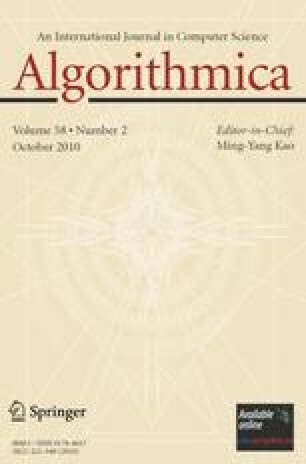 The design of NBmalloc also involved a series of other algorithmic problems, which are discussed in the paper. Further, we present the implementation of NBmalloc and a study of its behaviour in a set of multiprocessor systems. The results show that the good properties of Hoard w.r.t. false-sharing and heap-blowup are preserved. This work was supported by computational resources provided by the Swedish National Supercomputer Centre (NSC). This paper is an extended version of .